“The image comments on the image,” says Farocki, pointing at each of the television screens. 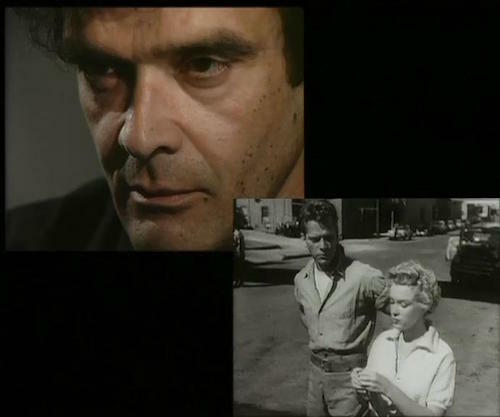 The images on these screens come from film footage, though rather than a series of operational images it is Farocki’s own work; clips from his earliest available short, Inextinguishable Fire (1969), sit alongside sequences from essay film Between Two Wars Zwischen Zewi Kriegen, 1978), his short An Image (Ein Bild, 1983), the feature he co-directed with Romanian filmmaker Andrei Ujică, Videograms of a Revolution (1992), and his documentary Workers Leaving the Factory (Arbeiter verlassen die Fabrik, 1995). By using his own films to illustrate his approach to editing, Farocki turns his art into an instructional; these images are treated as if they were operational.